Complying with the requirements of health and safety legislation can be notoriously time-consuming and places a considerable level of responsibility on to the shoulders of business owners and senior managers. Our Health & Safety Services help you to better understand and manage your obligations and provide you with the knowledge and the systems to allow you to be one step ahead. 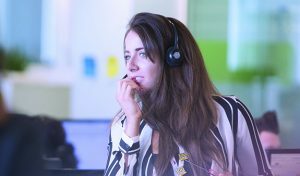 With the availability of our 24-Hour Advice Service around the clock, 365 days a year, all your business queries – be it a routine enquiry or an urgent problem – can be answered at your convenience. This essential service supports the bespoke Health & Safety Management Systems which we will create and help you to implement in order to ensure you are operating a safe and legally compliant workplace. Of course, should the worst happen and legal proceedings be brought against you or your organisation, we are able to provide robust legal representation, with Indemnity to protect against the costs involved, to assist in finding your way through in this legal minefield.